Penn's Grant Corporation is a real estate development and investment firm based in Doylestown, Pennsylvania. Founded in 1972, Penn's Grant has excelled as a result of the firm’s strong regional knowledge, extensive contacts and innovative ideas. The first in Bucks County to develop a residential condominium community, Penn's Grant is constantly honing and diversifying its development capabilities. The firm’s experience includes single family detached homes, townhouses, active adult communities, commercial office buildings and retail shopping centers. Penn's Grant has developed more than 400 residences; 332,000 square feet of office space; 488,000 square feet of shopping centers; and public storage facilities. One of Penn’s Grant’s more recent projects was The Manor at York Town, a 122,700 square foot active adult community located in Warwick Township, Pennsylvania. 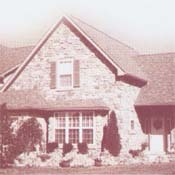 The Manor was recently presented with the 2003 Gold Award for Best Design from the Seniors Housing Council of the NAHB. For more information about Penn's Grant Corporation, visit the company website at www.pennsgrant.com.